China CNC Machine Tool Fair 2018 (CCMT2018) sponsored by China Machine Tool & Tool Builders’ Association (CMTBA) was successfully held from April 9 to 13, 2018 at Shanghai New International Expo Center.Following are some statistics about the show. CCMT2018 exhibition space reaches 120,000 square meters distributed in 10 halls of SNIEC，the net exhibition area is about 70997.75 sq.m. 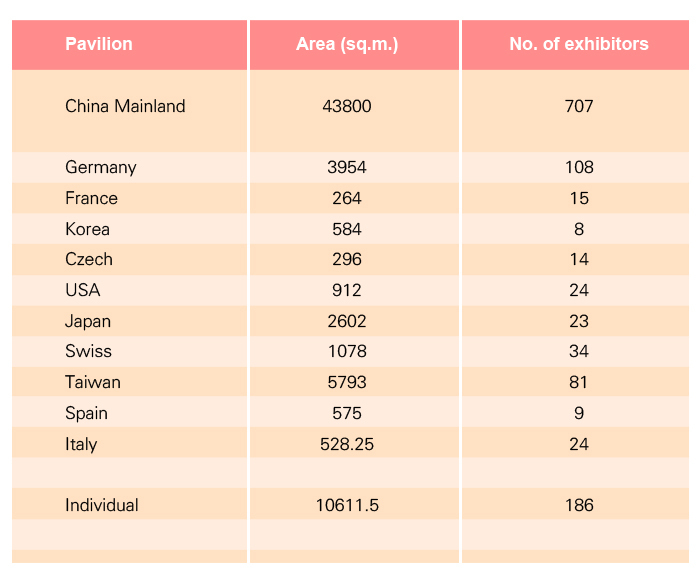 There were 1233 exhibitors from 23 countries and regions participating in the show. 10 foreign countries and regions organizing official pavilions. The detail information is as follows. 92.22% of the exhibitors were satisfied with the management and service of the organizer. 86.68% of the exhibitors were satisfied with the quality of visitors most of whom are management and technical people with business purposes. 89.40% of the exhibitors expressed their satisfaction to reach the expected results. The attendees totally were 171176 person/times which increase 17.51%compared with CCMT2016. The visitors were 125723 person growing 19.70% compared with CCMT2016. International CEO Forum of Machine Tool Manufacturing Industry 2018was held before the show. 40 technical seminars and meetings were held during the show with 2197 audiences. Technical support : POBA Software Co. Ltd.